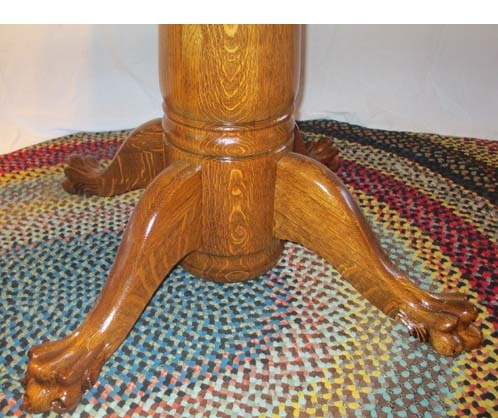 48" round (69" wide with 2 leaves) x 29" high. 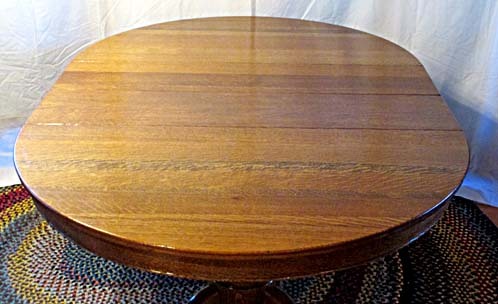 Here is a 48" Round Oak Table with 2 Leaves in a brilliant fresh finish. 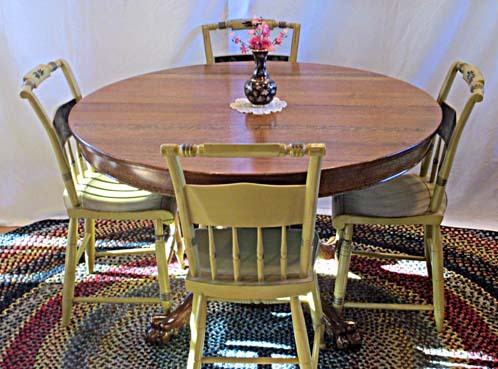 This table and leaves come with the BARN ON 26 ANTIQUES lifetime guarantee on the workmanship and finish. 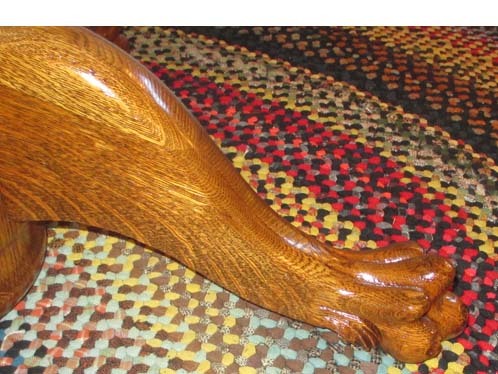 The table and leaves are all quarter sawn, and the table has solid claw feet and a turned base. 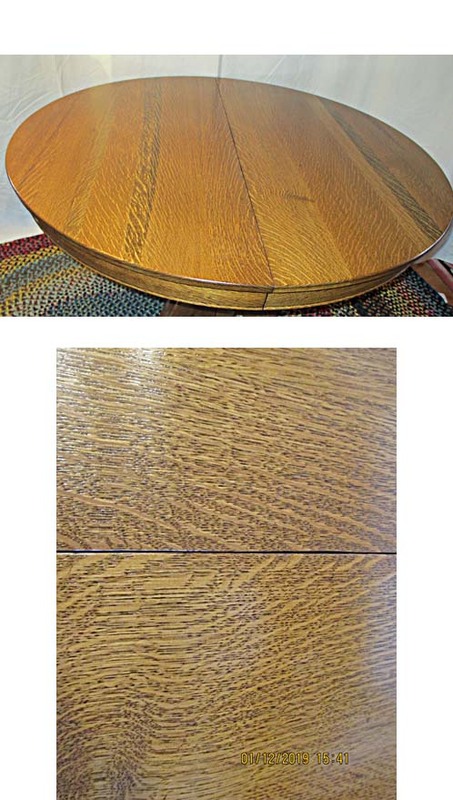 This table with the matching original leaves is a great buy, so don't miss out. Call or come by soon!